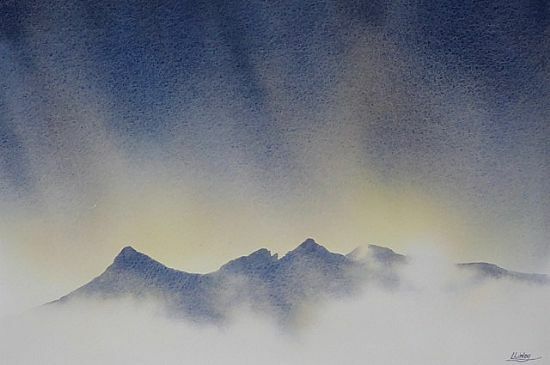 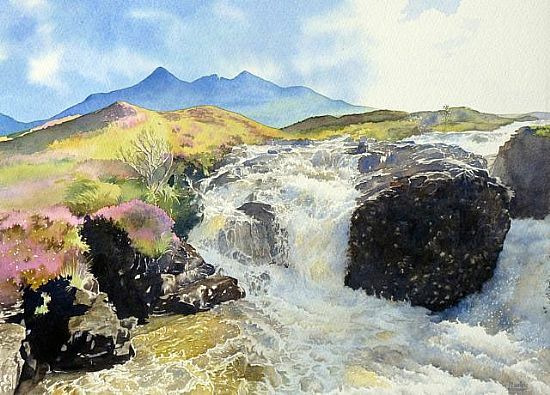 My work currently features landscape and waterfalls of the Isle of Skye which has been my home for some years. 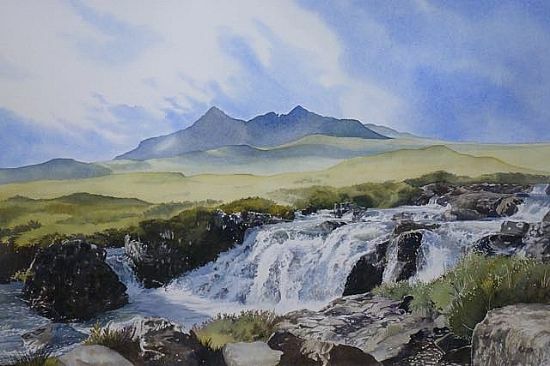 I’m now back in Derbyshire and eager to explore the area for new material. 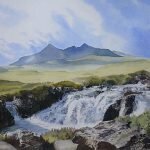 I paint in transparent watercolour, without use of masking fluid or body colour, preferring the challenge of negative painting white or light areas. 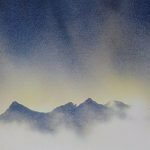 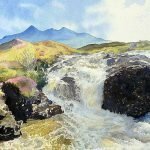 Recent work is predominantly the mountains and waterfalls of the Isle of Skye, mainly larger works, each taking many hours to complete.